Last week we spent the day at the El Guembe BioCenter. It is a 24-hectare environmental complex located across the Pirai River just outside of Santa Cruz.. 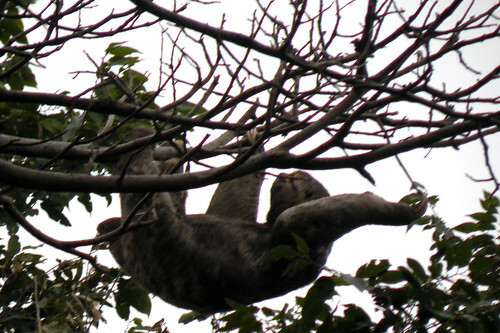 They have a nice little reserve of tropical lowland forest and we spotted this sloth, high up in the trees. The sloths used to be in the plaza downtown, but as the city is growing, it was best to put them in a nicer place. The owner has a really nice place and I recommend a visit! I appreciate their committment to environmental education. 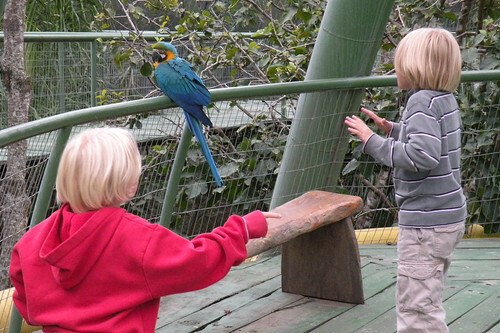 They have several museums, and their aviary / butterfly dome / orchid garden are the best I’ve ever seen! They combined it the standard tourist facilities and there is a nice hotel, restaurant, and swimming pool. It is a great day out for the kids and they keep wanting to go back. The nice thing about the winter season is we have the place basically to ourselves. The center is the closest to what I would have if I was a multimillionaire. It really adds something different to Santa Cruz.